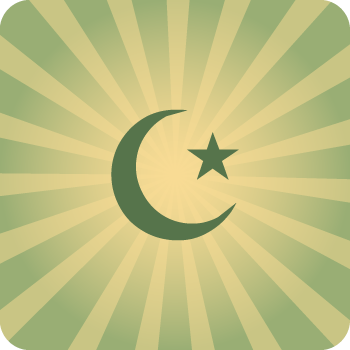 Islamic faith began in Arabia by the Prophet Muhammad. Muslims believe that there is only on God, also known as Allah. These Islamic themed designs can be customized for your own personal needs. Edit the colors, text, clip art images and more. It is part of our mission to provide a place for all customers to voice their opinions through self expression. We take great pride in our goal to protect the rights to free speech and therefore provide all forms of religious perspectives. We may not personally believe or agree with all messages found in the Islamic design templates, just like our views on other religions, but we provide these options for our Islamic friends. Though we are very opened minded and inclusive there is one thing that we will not tolerate. Message of hate towards other people or religions are not acceptable and will not be honored. We reserve the right to cancel and refund any order that contains messages of hate.